The claim of Rome to be the One, Holy, Catholic, and Apostolic Church of Christ on Earth is a claim that the Reformers took seriously. They accepted the idea that there was such a church, though they disagreed that it was identical with the church of Rome. Luther used the existence (and declared validity at Lyons and Florence) of the ‘Greek Church’ to rhetorical effect to argue against this identification. Calvin took up some of St. Augustine’s later writings regarding the Donatists to point to the idea that where there is love, there is Christ, and therefore the Church may extend out in some way beyond its visible borders. When the time came, however, to justify separation from the Roman polity and the reconstitution of new local church bodies, an appeal was made to the marks of the true Church. Biblically, the Reformers argued, the Church of Christ on Earth would manifest certain qualities, and the various Reformers, in various ways, sought to render these marks in an objective way, such that Rome’s claims could be assessed. For Calvin, for example, these marks were the word of God preached and proclaimed, the administration of the sacraments, and ecclesiastical discipline. He argued in the Institutes that in order to justify separation (without it being the sin of schism), one or more of these marks must not only be disfigured, but must be entirely absent. In Calvin’s case, he argued that it was the Eucharist which, by virtue of medieval Roman theology and worship practice, had ceased to truly exist within Rome’s local churches, which justified his forming Eucharistic Christian communities. Because it no longer celebrated the Eucharist, Rome could not be the Church of Christ on Earth. A subtle shift in this mode of thinking took place in the seventeenth and eighteenth centuries, as the concept of a ‘denomination’ developed. The communities formed out of the Reformation in the various countries of Western Europe and their colonies were not identical, and did not constitute a single visible reality. Nonetheless, there was a genuine feeling of kinship as part of the Protestant movement which united the faithful of the Church of England, German Lutherans, Swiss and Dutch Calvinist communities, etc., over against their Roman Catholic foes. The Church of Christ on Earth was seen to include all of these disparate communities with their disparate beliefs and practices, and so each individual church polity was seen as the Church of Christ which is named (de nomine) Lutheran, or Anglican, or Reformed. The marks of the true Church became the marks of a true church. These marks separated individual communities which were part of this invisible overarching body from those which were not. One was justified in forming a new church body only if there were no church body in the local area which met these criteria. In the American colonies and early United States, the seventeenth to early nineteenth centuries have been referred to by sociologists as the Calvinist period, and so this view prevailed. The new wrinkle in American church life was the early predominance of particularly Puritan Calvinism in the various states. Puritanism constituted a Protestant movement within Protestantism. What unites Puritans as Puritans is not so much their common core of Calvinist belief, but their many variations of belief from state church Protestantism on the European continent. Suffice it to say that Puritans included both Presbyterians and Baptists, Congregationalists and Episcopalians in their number. After unwillingness to yield to the authority of the British crown in the Church of England (and a disastrous revolution under Cromwell), the Puritans were largely forced out of Britain, and then likewise proved unwilling to yield to the authority of the Reformed Church of the Netherlands. The crucial element which made this impossible was the steadfast Puritan belief in the right of the Christian conscience in the light of scripture to form its own beliefs. A Baptist had the right as a Christian not to offend against his conscience by being required to baptize his children. A Christian opposed to ornamentation in worship had the right to worship in a church free of vested clergy. This element again shifted the standard for ecclesiological separation. It was within an individual Christian’s right to separate from a church, even one bearing all the marks of a true church, based on a matter of conscience involving any point of doctrine or practice. Talk was now not about the word being preached, but about it being rightly preached. It was not the administration of the sacraments, but the right administration of the sacraments. It was not about ecclesiastical discipline, but about correctly applied ecclesiastical discipline. And the judge of the ‘rightness’ and ‘correctness’ was the individual Christian’s conscience, seen to be enlightened by the Holy Spirit through the scriptures. The next major transformative step in American ecclesiology took place in the Second Great Awakening in the midst of the nineteenth century. This revivalist movement under charismatic preachers exemplified by Charles Finney took direct aim at denominationalism, not in favor of an earlier ecclesiology, but in favor of even further freeing the conscience of the individual Christian. Out of this movement developed parachurch ministries, Christian ministries not tied to any particular church body. These ministries gained a central role in the life of what were now evangelical Protestants, often moreso than even the local church body to which they belonged. Charismatic teachers and popular movements unite evangelicals into one body, rather than loyalty to a statement of faith, creed, or organized ecclesial identity. These movements and teachers operate by virtue of the power of persuasion, making every individual who identifies themselves as a Christian the judge of what the Christian faith is and entails, and freeing them from any authoritative statement to the contrary by past teachers of the church, present church leadership, or historic creedal statements. Each evangelical Christian is able to define Christian theology for themselves based on their own conscience and understanding of scripture, and typically describes their faith in terms of significant publicly known figures with whom they presently agree on this or that issue. 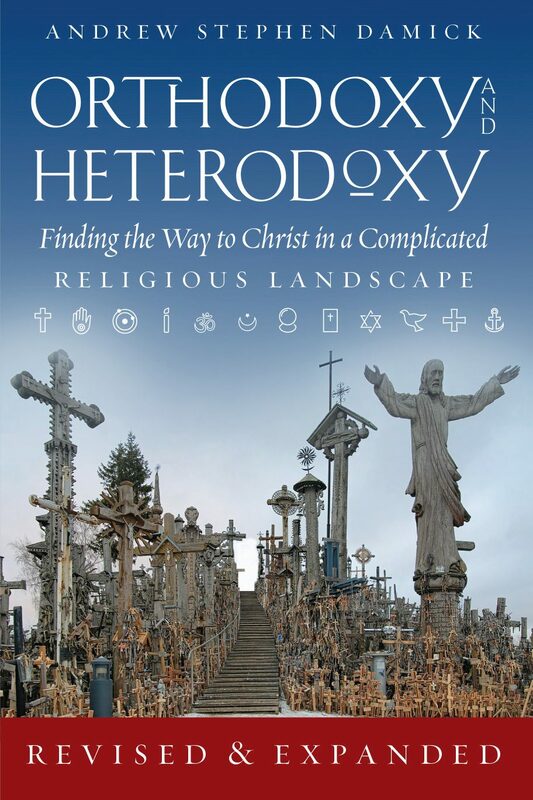 It is a commonplace in Orthodox critiques of contemporary evangelical Protestant ecclesiology, such as it even exists as a discipline, to categorize it as ahistorical. 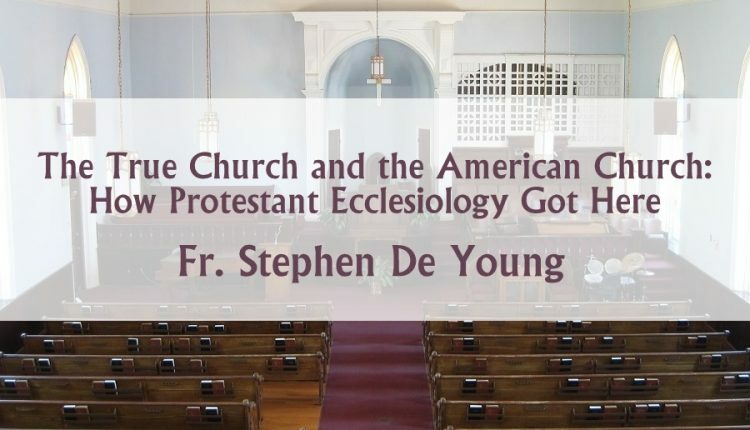 All that is seen is the gap between ecclesiology as described in scripture, the church fathers, the creeds and councils of the church, and what is the present American reality. It is more correct, however, to say that evangelical ecclesiology is supremely historical. It is an ecclesiology profoundly conditioned and generated by the particular history of the Protestant movement in Europe and then this country. It is a view which has also been conditioned in a dialogue with the broader emerging American culture, valuing the individual, democracy, and right of conscience. The better critique of evangelical theology, then, is not that it is disconnected from some historical theological sense, but that it is disconnected from anything which transcends history and culture. 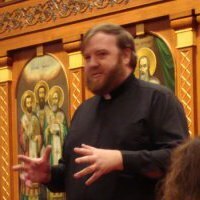 It is an ecclesiology disconnected from theology proper, from the Holy Trinity. It is an ecclesiology disconnected from the life of the Holy Spirit who indwells the body of Christ, His Church on earth throughout the last two millennia. There is no body on this earth, in evangelical ecclesiology, which has kept, protected, and proclaimed the way of salvation throughout history such that by living a life within it, one can find salvation. Rather, each Christian is left to find what is right in their own eyes, and then stand accountable at the judgment seat of Christ for how well they did in working it out for themselves. By inhabiting this American church culture, evangelical Christians deprive themselves of the gift of the Church, placing instead a great burden upon themselves. Rather than being set free by the removal of church constraints, they have placed upon themselves an obligation for finding and working out their salvation which no human person can bear. Excellent overview, Father. Many thanks for this! Excellent review Father and how tragic a story it really is. I know there is a movement in the Protestant world to try to standardize beliefs (Especially at Wheaton College) but they have a very tough battle on their hands. Its like trying to hold sand in one’s hands with the fingers spread. Outstanding post Father! Thank you! This sentence from your article is THE reason I left evangelicalism and became Orthodox. Despite claims of “sola scriptura”, in Evangelicalism, each person really is their own source of authority. I am a Protestant and I’ve been looking for an historical overview of Protestant eccliasiology. Thank you. There’s a resurgence of focusing on relationships and community, but the fundamental problem of an indivualistic authority remains. Unfortunately, this results in a classroom environment which adds nothing but more knowledge. I also find it interesting that a significant number of the statements within evangelical circles are not based on what the early church fathers said, or even Scripture, but is based on anti-Roman Catholicism.